Introducing the first Cannabidiol (CBD) product on the global market specifically formulated to deliver CBD at a cellular level to the eye. 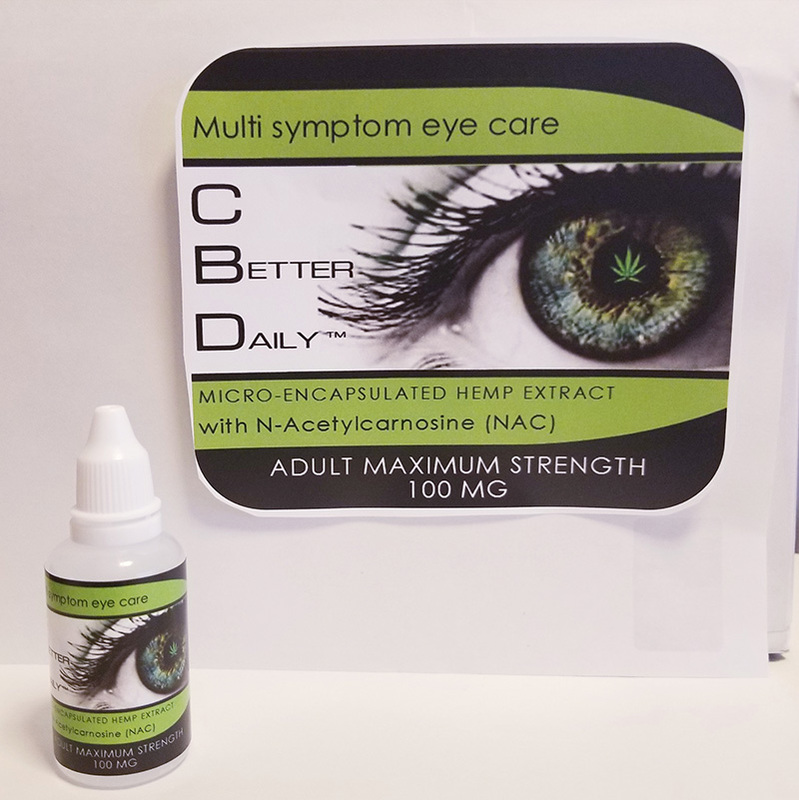 C Better Daily ™ penetrates the cornea and retina, bringing CBD holistically to the source of glaucoma, cataracts, degenerative eye disease, allergies and dry eye. C Better Daily™ offers a harmonic blend of herbal extracts that have been used as holistic remedies for centuries. These herbs have been chosen for their specific abilities to reduce swelling, itching and inflammation. Eyebright is specifically beneficial for many eye problems including severe inflammation of the eye, inflammation of the eyelids, conjunctivitis, cataracts, stye, weeping eye, and bloodshot or strained eyes. The first eye drop of its kind, C Better Daily™ is formulated with full plant micro encapsulated CBD that is extracted using supercritical CO2. Engineered at 300 nano meters, C Better Daily™ can penetrate through every level of the eye, including the optic nerve. The result, C Better Daily™ delivers CBD directly to the source of glaucoma and cataracts. N-Acetyl-Carnosine, a key ingredient in C Better Daily™, has demonstrated efficacy in treating a variety of ophthalmic conditions, including corneal diseases, cataracts, glaucoma, and increased intraocular pressure. Results from trials using N-Acetyl-Carnosine confirmed accelerated healing ofcorneal erosions, trophic keratitis, post-herpetic epitheliopathy, primary and secondary corneal dystrophy, and bullous keratopathy. Most striking, however, was the ability of carnosine to eliminate existing cataracts. C Better Daily™ offers a harmonic blend of herbal extracts that have been used as holistic remedies for centuries. These herbs have been chosen for their specific abilities to reduce swelling, itching and inflammation. Eyebright is specifically beneficial for many eye problems including severe inflammation of the eye, inflammation of the eyelids, conjunctivitis, cataracts, stye, weeping eye, and bloodshot or strained eyes.